The cold pressed watermelon seed oil is rich in lonoleic acid and hence, is amazing at dissolving sebum and locking in moisture. It is very light and easily absorbable when used on skin and is one of the best ingredients to use on oily, combination and acne prone skin. Satliva Watermelon Face Cream effectively controls excess oil and prevents acne. It helps in reducing the dark circles and wrinkles. It helps in keeping the skin fresh and hydrated all day along. 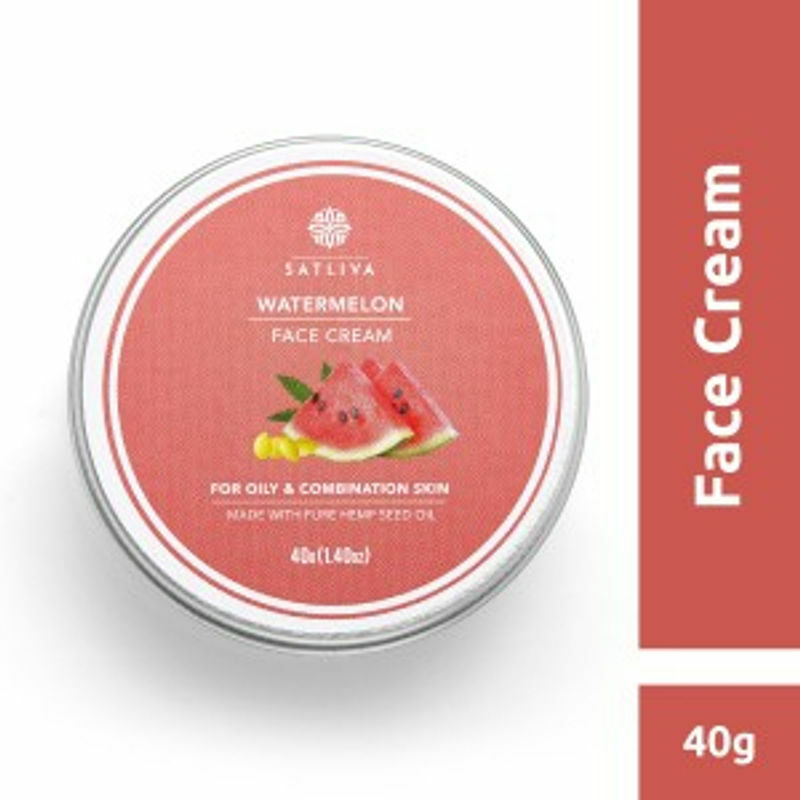 Formulated combining hemp seed oil and watermelon seed oil, this cream is packed with vitamins A and E, which are powerful antioxidants that help in reducing the sun damage by controlling the free radicals caused by UV exposure. Satliva gurantees that the hemp seed oil, used in the products, is extracted and combined with other cold pressed oils and essential oils to bring you the finest chemical free products.